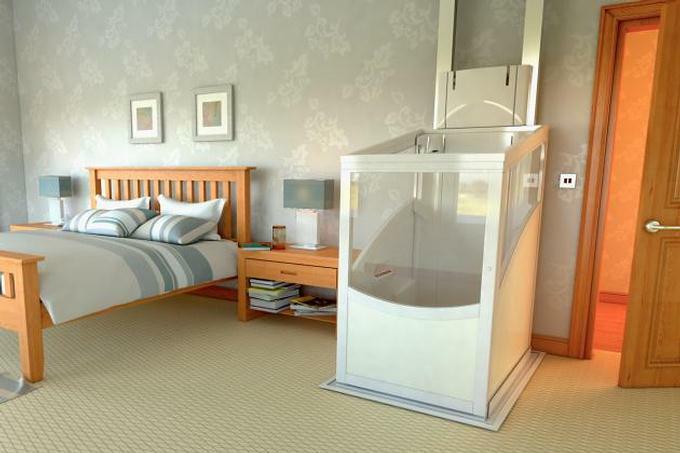 Through the floor home lifts and residential elevators for domestic properties in the UK. Supplied, installed and fully guaranteed with the minimum of disruption to your home. Call us now for a free home survey. 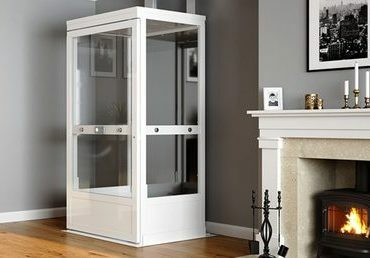 Every aspect of your through the floor home lift installation is taken care of by Mobilitybase. Building work required for the through floor lift aperture is completed by fully qualified homelift builders to local building control regulations. The homelift aperture is often completed within four to five hours leaving your home ready for installation of your through the floor home lift the very next day. 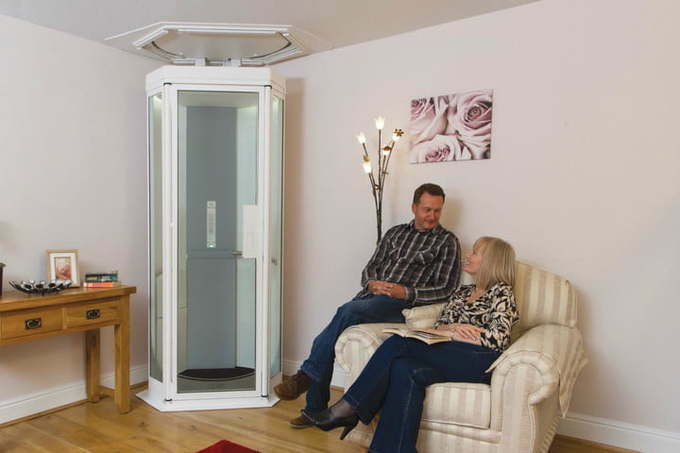 Home Lifts, often referred to as 'Through Floor Lifts' can give you the total freedom of your home both upstairs and down. Suitable for both seated and wheelchair users, our homelifts are installed in around a day and a half with the minimum of disruption. 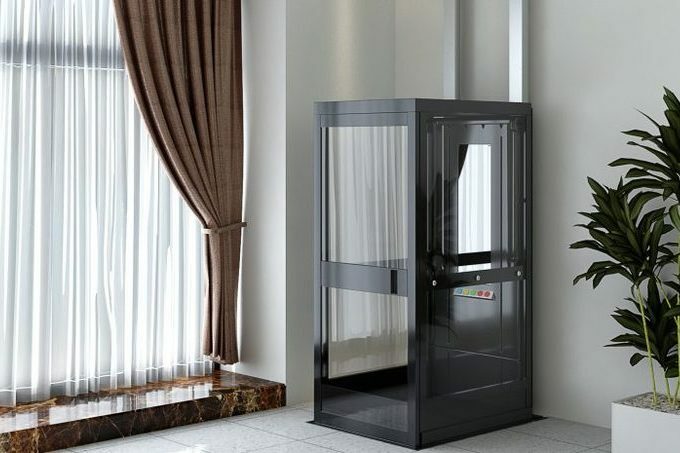 A fully enclosed lift offers the capacity for two people to travel while standing. These lifts are also suitable for wheelchair users that require the assistance of another person while travelling or for a parent travelling with a child. Providing the ideal solution for staying in your home. Stay near your loved ones, in the house and neighbourhood where you have always felt at home in. 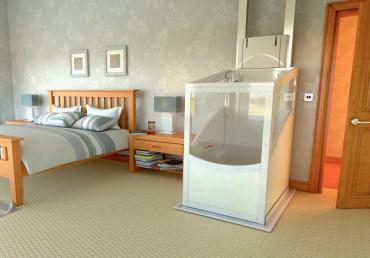 The ideal solution to future proof your home without having to move house. Every Homelift we supply has been tailor made to suit the size of your home and the needs of the user. 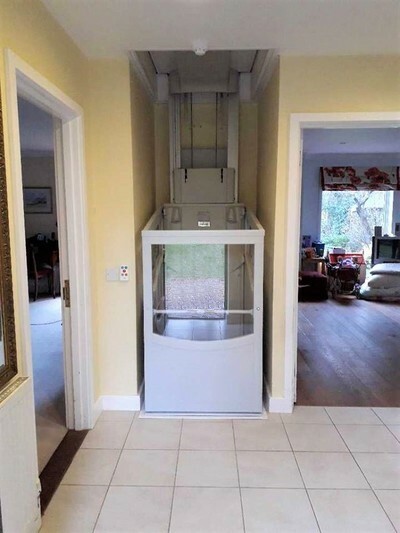 From single person compact homelifts tucked away in the corner, to larger through the Floor lifts designed to carry two people or a wheelchair user, we have a lift for every home. 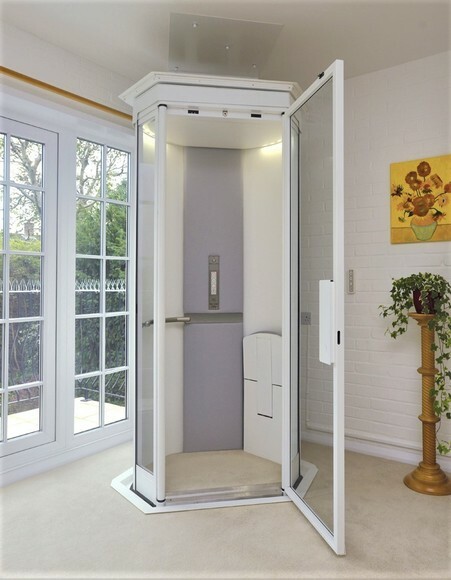 Find out how a homelift or through the floor residential elevator could be installed within your home. Simply give us a call on 0208 936 3060 or fill in our contact form where we can help you re-discover the upstairs of your home. We maintain accreditations with several authoritive bodies that set bechmarks and standards to help subscribing companies comply with legislative and health and safety best practices. Mobilitybase work hard to promote this, including compulsory technician training within the industry. The British Healthcare Trades Association (BHTA) is one of the UK's oldest and is the largest healthcare association, founded in 1917. Member's adhere to a Code of Practice ensuring you get advice and guidance about the products you need to maintain your independence. The Code of Practice has been granted full Office of Fair Trading approval under the Consumer Codes Approval Scheme (CCAS). BHTA is the first trade body within the Healthcare industry to have an approved code, which is now overseen by the Chartered Trading Standards Institute.